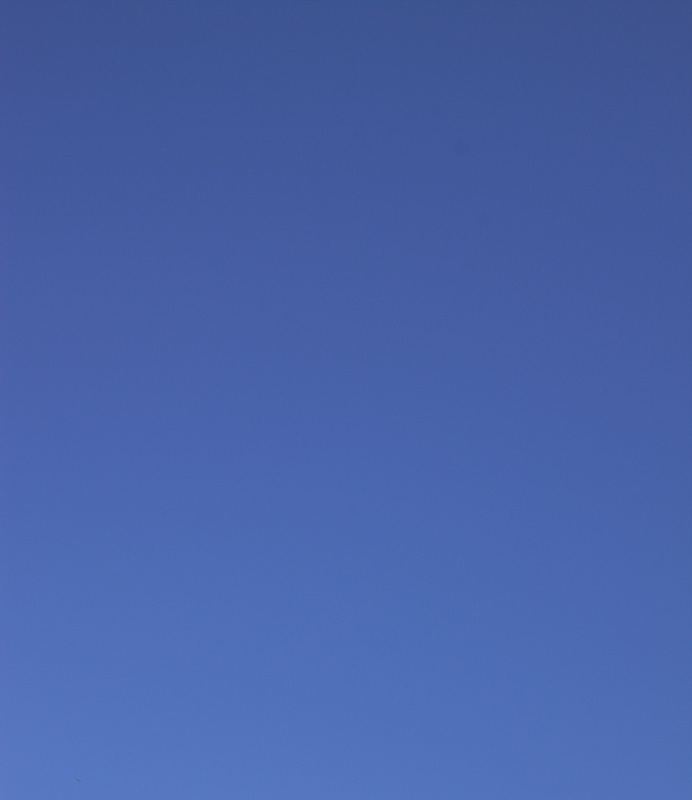 Here’s a picture of the sky over Clevedon this afternoon, so clear and blue that I had difficulty taking the photo, I had to include a piece of roof and then crop that out. There could be a message in there for an issue with perfection. With a little wisp of cloud the automatic focus would have known what to look at. Maybe the wisp would have set off the blue of the sky, so it looked more impressive, somehow. I guess that in the case of this photo, it would at least have made it more obvious that this is the sky! Although I am not citicising the perfect blue of today’s sky – we see too few cloud free skies in the UK to get that used to them – I think I have a tiny problem with perfection, and I don’t think I’m alone in that. For example I usually prefer a slightly unusual singing voice to one that is flawless – although that often also has something to do with the song being sung too. Bob Dylan’s voice is rarely called beautiful, but he is always good to listen to. I can also find a room that is perfect a little unsettling. It’s almost as though I feel guilty at living in it and running the risk of messing it up. And don’t some perfectly even, perfectly white smiles look a bit artificial? It’s worth remembering, as we strive for perfection in our lives, that it’s not always achieveable, nor always necessary. Fortunately the best we can manage is often good enough!